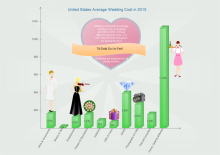 Infographics breathe life into your essay by making it more attractive, persuasive and impressive. 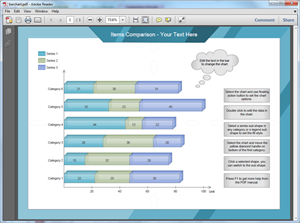 Make infographics easily with simple and powerful diagramming software. There are many ways to improve your essay writing. Most importantly, you need to accumulate knowledge bit by bit on the long-term basis because few things can be done at one go. However, there is truly an effective and quick skill to improve your essays technically – use infographics. For example, the process of translation can be displayed visually in the following diagram. Information can be conveyed better by infographics sometimes. The visualization nature of infographics can add more persuasion to your argument. This is also an effective way to help you stand out from the crowd. 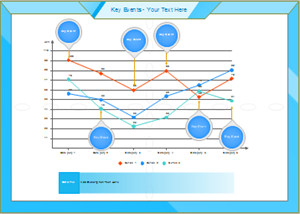 For the readers or reviewers, they will be more interested in your essays with visualized elements in it. There are many kinds of graphs, charts or diagrams that can visualize ideas and explain numbers in an easy to understand way. Here are some examples for your reference. Bar Charts Good at comparing quantities. For example, comparing figures between four different countries. You may like Edraw’s ready-to-use bar chart examples.